Last month’s Digitopia conference brought together power sector innovation frontrunners and strategists to discuss the digital future of electricity. On this occasion, Tech.eu, the event’s exclusive media partner published a podcast on the digital transformation happening in Europe’s energy sector and the big moves taking place in the European fintech space. The Tech.eu podcast is a show in which journalist Robin Wauters discusses some of the most interesting stories from the European technology scene, and interviews leading entrepreneurs and investors from across the region. In the latest episode entitled “Leveling up Europe’s fintech sector, a look at the changes in the pan-European energy industry, and more”, Tech.eu features a number of interviews with key players in the European electricity industry, including Kristian Ruby, Secretary General of Eurelectric and Tiago Moura Antunes, who heads client-focused innovations for EDP, the Portuguese utility player. 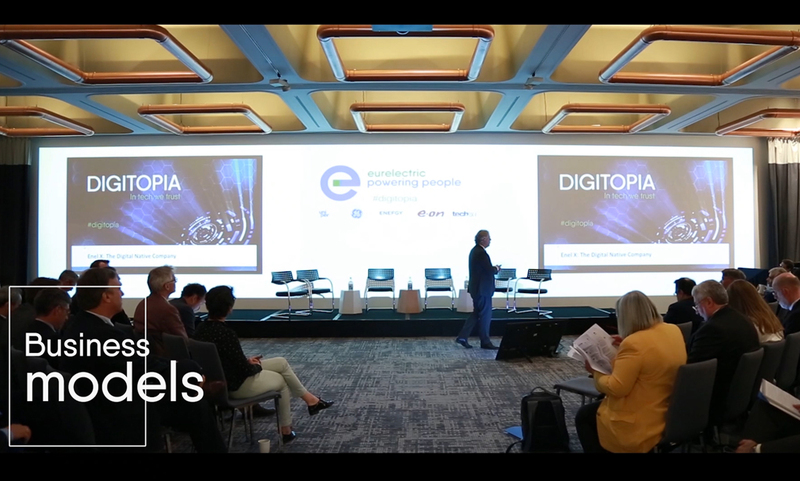 Mr. Moura Antunes also featured as speaker during Eurelectric’s Digitopia event. The interviews touch on the impact of digitisation in the European energy sector, the changing relationship with customers, legislation and regulation like GDPR and the digitisation challenges specific to the utility industry. To listen to the podcast episode, you can click HERE. Eurelectric’s interview comes in at 5.47 mins. If you are interested, you can also subscribe and listen to the podcast on SoundCloud or iTunes.